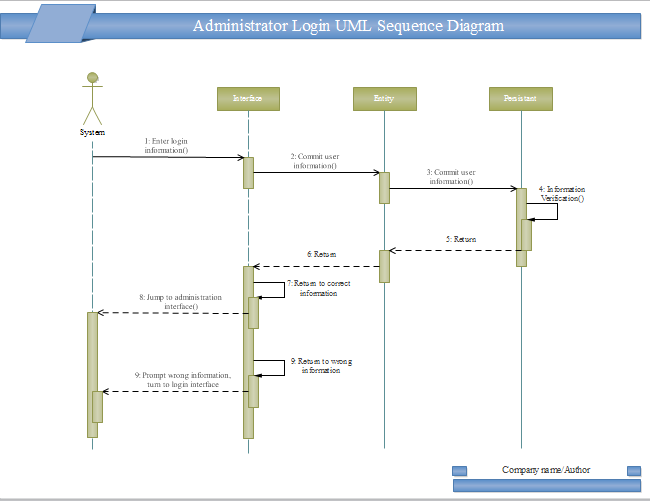 Description: If you want to use the least time to document a quality UML sequence diagram, try this login uml sequence diagram template. When you download and open the file, a series of smart shapes will be open as well. Through dragging and dropping shapes, together with snap and glue connecting feature, everyone, even novice users, could draw a uml sequence diagram effortlessly.